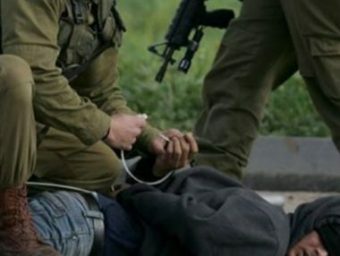 The Palestinian Prisoners’ Society (PPS) has reported that Israeli soldiers abducted, overnight until early morning hours, Monday, 19 Palestinians, including three siblings, from their homes in several parts of the occupied West Bank. The PPS said the soldiers conducted extensive and violent searches of dozens of homes across the West Bank, interrogated many Palestinians, and abducted 19 Palestinians. Adam Fadi Mustafa, 18, al-‘Isawiya – Jerusalem. Mohammad Zakariya Oleyyan, 18, al-‘Isawiya – Jerusalem. Abdul-Qader Dari, 19, al-‘Isawiya – Jerusalem. Qussai Ahmad Dari, 17, al-‘Isawiya – Jerusalem. Wasim Eyad Dari, 16, al-‘Isawiya – Jerusalem. Qassem Monir Dirbas, 16, al-‘Isawiya – Jerusalem. Wadea’ Daoud ‘Oleyyan, 18, al-‘Isawiya – Jerusalem. Ahmad Abu Roumi, 18, al-‘Isawiya – Jerusalem. Mohammad Mousa Mustafa, 19, al-‘Isawiya – Jerusalem.